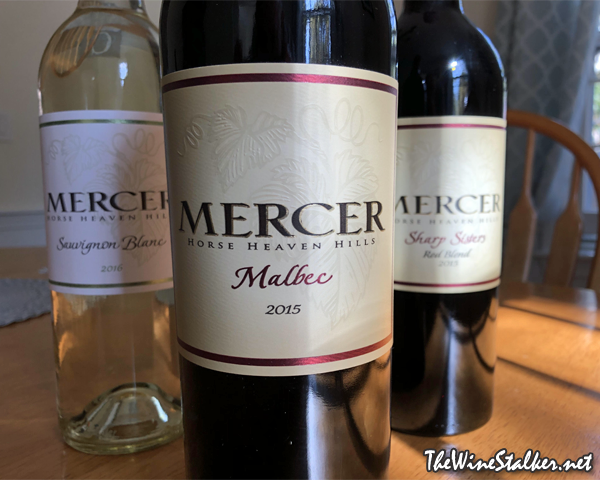 I'm reviewing three wines by Mercer this month. 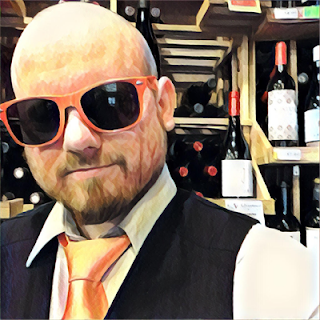 I love this winery, guys, because they make good wine in the most comfortable of price ranges for the average fine wine consumer. They're a relief to see on a wine list full of Mirassou's and Dark Horses (aka fermented Pixy Stix), because you know they're going to be solid. I also love Mercer because I love Horse Heaven Hills. And because I love Washington State. I started off with their 2015 Sharp Sisters Red Blend, now I'm moving on to their 2016 Sauvignon Blanc, and then I'm concluding it all with their 2015 Malbec. The Mercer family came to the United States in 1747, and they made it to Washington in 1886 when Willis Mercer decided to hang his hat in Prosser. Here they were mainly sheep herders, and for almost two hundred years they used Willis' land for sheep and other forms of farming before wine got involved. It wasn't until 1972 that they decided to try some viticulture. Bob and Linda Mercer started growing grapes on their "Block 1" lot, the very first vineyard in Horse Heaven Hills. The Horse Heaven Hills AVA is now a rather large region within the Columbia Valley of Washington, and it makes some of the best new-world Merlot I've ever had. The 2015 Malbec is 78% Malbec and 22% Cabernet Sauvignon. Both from their estate Spice Cabinet Vineyard, which is on a southeast slope, where the vines can take in the morning sun and avoid the intensity of the afternoon sun. After the grapes were sorted both on the vineyard and at the winery, they skipped the crushing process and were put in a big oak tank to ferment while being punched down twice a daily. Then the wine is racked to new and old French oak barrels to go through fermentation, and then aged in barrel for eighteen months before blending and bottling. It has an ABV of 14.8%. The color of the wine is a deeeeeeep blackish red. On the nose there's aromas of plums, blackberries, lavender, mint, vanilla, and cocoa. There's also my beloved nostril burn from ethanol fumes. Just smelling it has made me wonder about Malbec's place here in the United States. This one bottle of $20 Malbec from Washington State is far more alluring than all the Malbecs I've ever had from California. Then there's Market Vineyards Merval Malbec 2012, also out of Washington State, and that is freaking amazing. I know California is trying to make Malbec work, and they're starting to do it succesfully, but what if Washington State is where Malbec should really be pushed? On the palate it's medium bodied with a chalky mouthfeel, powdery tannin, and quite a bit of heat from the alcohol. There's flavors of plums, cranberries, milk chocolate, and creamed coffee. It finishes with cranberries, creamed coffee, astringency from the tannin, and heat from the alcohol. I love this Malbec. It's easily approachable for everybody, it's got the character and quality to appease the wine snob, it's versatile with food (although cheeseburgers would be a perfect pairing), and it's entirely enjoyable standing on its own. For $20, I'm giving it a recommendation.